Auction house Profiles in History announced Wednesday that the items will be exhibited in Beverly Hills starting Aug. 18. They include a photograph that Monroe signed to 20th Century Fox executive Ben Lyon that reads: "Dear Ben, You found me, named me and believed in me when no one else did. My thanks and love forever. Marilyn"
Born Norma Jeane Mortenson, Monroe changed her name after coming to Hollywood. 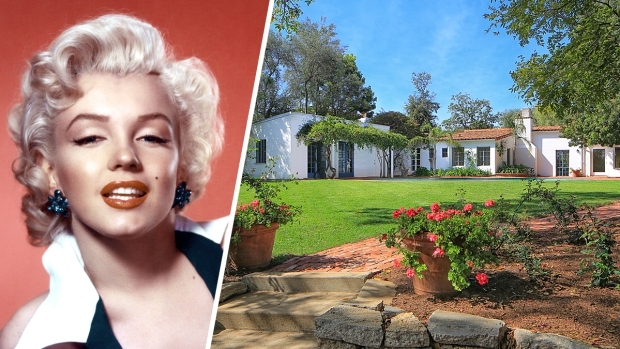 She used her mother's maiden name Monroe, while Lyon provided the "Marilyn." The photo was taken during the filming of "The Seven Year Itch," the 1955 movie that provided history's lasting image of Monroe, standing over a subway grate and holding down her white dress. Also in the auction are Monroe's personal childhood photographs 15 costumes she wore in films, including dresses from "Gentlemen Prefer Blondes" and "How to Marry a Millionaire."